Stand-up desk, miracle solution ? As you may heard already, sitting is now considered the new smoking, increasing the risk of heart disease, diabetes, obesity, etc. Health guidelines suggest we should spend 150 minutes a week in moderate exercise, but many of us sit down for more than half the working day. With email nowadays, you don’t even have to get off your chair to speak to anyone! So, while the benefits of standing desks may be overstated, the risks of sitting are not. There's no doubt that sitting too much is very bad for your health. However, that certainly does not mean you should stand all day instead. The research is still in its early stages, but a ratio of 1:1 or 2:1 sitting versus standing time appears to be optimal for comfort and energy levels, without affecting productivity. It is also recommended not to sit more than 1 hour. Ensure your desk and screen are well adjusted to prevent risk of injuries. They are still many ways to cheat even with the best equipment. -Usage of an anti-fatigue mat can improve blood flow and reduce overall discomfort of the lower limb by encouraging slight movement of your leg muscles during the day. -Make sure your keyboard and mouse are positioned properly. The wrist should be straight (aligned with the elbow) and slightly extended while using the equipment. -Using arm support can help minimise neck and shoulder issues while taking pressure off the wrist while using the mouse. -Make sure to take breaks, if you can’t remember yourself as you get too absorbed by your work, you can install a reminder/alarm on your computer to help you out. A break every 20 min to rest your eyes and walk around is optimal, but every hour is still acceptable. If you don’t have the luxury to have a stand-up desk at work, remember you can take walking breaks throughout the day and use the stairs, whatever desk you have. How to prevent shoveling injuries? Shoveling snow repeatedly with altered biomechanics and poor posture can cause many unfortunate injuries. In addition to weak techniques, the weight and imbalance of snow, using a long lever arm (shovel), will most commonly target the low back and shoulder area. The physical exertion required to carry and move heavy snow isn’t a piece a cake either. Research has found that risk of heart attack is higher in the few days after heavy snowfalls. Another big mistake people make is rolling out of bed and heading outdoors immediately to clear the snow after being inactive during many hours while sleeping. Shoveling should be considered as an exercise and according to the previous articles on our blog, we now know how important it is to warm-up and wake up your muscles as a preparation to a physical activity. By keeping your knees slightly bent, hinged at the hips and legs in a wider stance, you will take some of the tension off of the low back and favorise the use of bigger muscles like the glutes, human’s best friend! While being in a partial squat position, don’t forget to contract your core muscles by keeping your abdomen flat and tensed (as if someone was to give you a punch in the stomach). By using a wide grip on the shovel and keeping the it close to your body, you will decrease the lever arm and make it easier for your muscles to do the work. Pivoting with your hips instead of twisting with your back is a safer way to handle the snow while shoveling. Also, hold your shoulders back (see scapular stability article) and your neck tucked in. Use your lower body to lift the snow instead of your low back, while keeping your body aligned in the direction you are shoveling the snow. If you can plow the snow instead of lifting it, your body will definitely thank you later! As we mentioned earlier, shoveling should be considered as a workout, so don’t hesitate to take breaks, have a sip of water when you feel the fatigue is setting in. Following the previous article on TMJ dysfunction, here are a few examples of exercises you can do at home to help your symptoms. 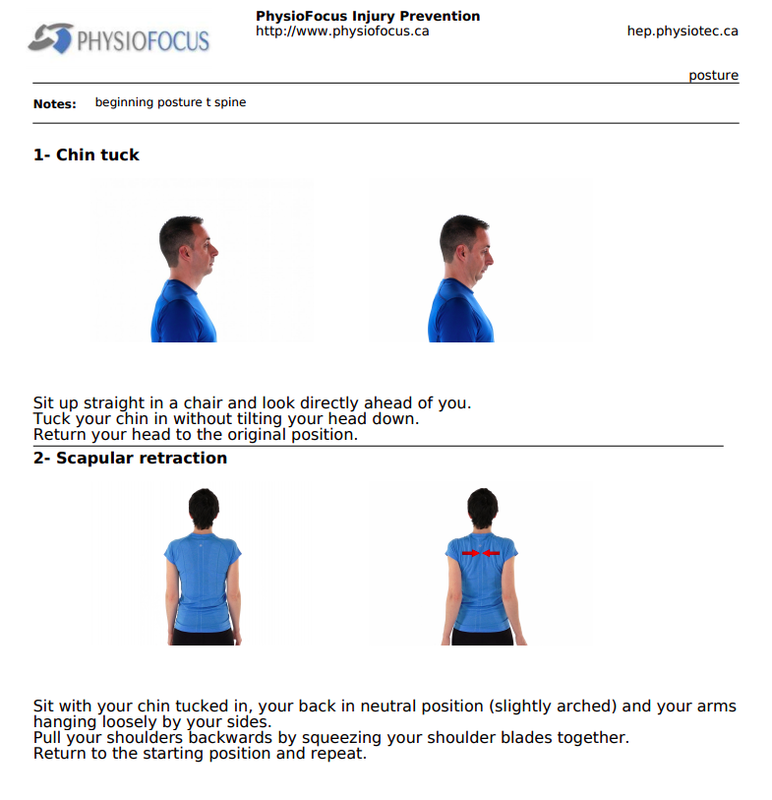 Working on your posture is key to release some muscular tension coming from the neck and shoulders. Also see the previous blog on scapular stability. You can also controlled active jaw movement, meaning that the focus is to avoid the jaw from shifting or clicking. All movements should be painfree. Following some painfree active jaw movement, you can also do the same exercises with a slight resistance using your hand. For more question or guidance, don’t hesitate to contact our clinic to see our experienced physiotherapist. The TMJ is the ball and socket joint that connects the Mandible (jaw bone) and the Temporal bone (one of the bones of your skull). It’s the small joint located in front of your ear. There is a cartilage cushion in between the ball and socket, referred to as the Disc. The disc is supported by special Ligaments, which keep the disc in place. Movement problems of the disc can be responsible for creating many symptoms in the TMJ, such as clicking, crepitations, locking, muscle spasm, and pain. There are several muscles which support and control movements of the TMJ. The TMJ specific muscles involved in myofascial pain dysfunction are the Temporalis and Masseter. The temporalis is a fan-shaped muscle that fills the temporal space, and inserts onto the mandible. Its function is to raise the mandible to close your jaw. The masseter is a thick and strong muscle attached at your cheekbone and runs to the angle of the mandible. Its function is to also raise the mandible to close your jaw. Treatment of myofascial pain disorder is focused on desensitizing muscles through hands-on mobilization, restoration of normal functional movement pattern through exercise, and providing education regarding prognosis and self applied maintenance. Treatment may also include other muscle re-education techniques such as Intramuscular Stimulation (IMS). We look at other mechanical influences such as neck disorder and posture, to assist in maximizing treatment management. At times, we often work with your oral practitioner (dentist, orthodontist, oral surgeon), and other practitioners who deal with behavioural modification, to optimize results. As promised, see below for example of exercises you can do to stabilize your shoulder core. When we think of the core, we usually refer to our abdominal muscles, but did you know the shoulder has its own core ?? To improve function, strength, posture and balance, we need all our muscle to do their job and at the right time. It all starts with the center, the stability muscles, which is considered the core. The scapulothoracic joint relies on the coordinated dance of 17 muscles, as well as its mobility at three other joints — the acromioclavicular, sternoclavicular, and glenohumeral joints — to provide stability for the rest of the arm and shoulder. The shoulder requires both mobility and stability in order to support and stabilize the rest of the upper extremity. Think of the scapulae as the foundation of your house. Your house is only as sturdy as its foundation. Similar to a house, upper body strength relies heavily on the stability provided by the scapular muscles, which ground the upper extremities and allow for greater distal strength. Any weaknesses can provoque a change is the muscle balance, the larger muscles will start to overwork and compensate for the smaller ones that are not doing their job. Poor biomechanics and weakness of the shoulder "core" can also lead to overuse of the smaller muscles of the extremities (tennis/golfer's elbow, De Quervain tenosynovitis, etc). A well balanced exercise program is key to avoid injuries in the upper body. In order to know where to start with your exercises, your physiotherapist can give you a specific selection adapted to your needs. 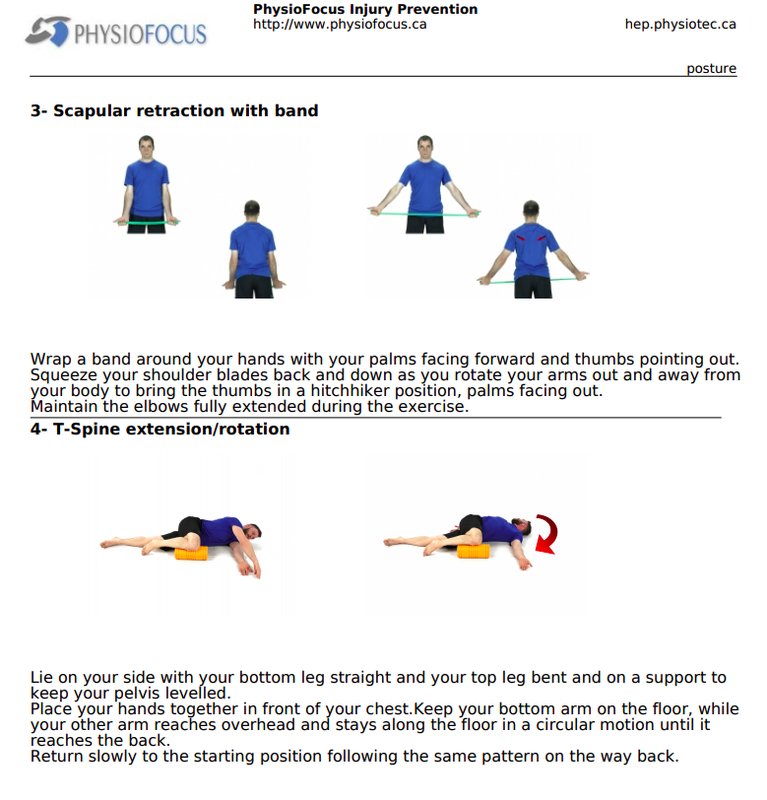 In the following blog, we will show you an example of scapular stability exercise program as a basic to start with. Stand by for more ! Currently, there are air quality advisories for BC, Alberta and parts of Saskatchewan due to the BC wildfires. Follow the necessary precautions to take care of what matters most and avoid illness or injury. The risk of respiratory and cardiovascular issues increases over time with continued exposure. Some people may experience more severe symptoms, like shortness of breath, dizziness coughing, or chest pain. If it's an emergency, immediately dial 9‑1‑1. If you'd like advice, call HealthLink/HealthLine at 8‑1‑1 or talk to your doctor. Stay indoors as much as possible. Avoid exercising outside; instead, head to a mall or gym. Drive with the windows up. Use air conditioning if you have it and set it to recirculate. Entertain children inside. Limit the amount of time children spend playing outdoors; young lungs are sensitive. Check air advisories often. Don’t rely solely on what it looks like outside. Be vigilant with breathing-related medications. If you have asthma or a lung-related illness, stay on top of your medications. See your doctor if you need to discuss dosage. Invest in an air purifier. A good air purifier will reduce particle levels inside your home. Above all, make your health and safety a priority. Dr. Bonnie Henry says there is a lot of “confusion” surrounding the impacts of the smoke, and wants to assure people there won’t be any major issues down the road. Henry says the smoky air makes it harder to get oxygen into the blood, and normally-healthy people can have symptoms including eye irritation, sore throats, running nose, cough and wheezy breathing. There will be some people who will feel long-term effects from the smoke if it irritates underlying conditions. Infants, pregnant women and those with underlying health conditions are being told it is recommended they stay inside. According to the app “Sh**t! I Smoke,” the air quality in Vancouver today is equivalent to smoking 9.5 cigarettes a day. But Henry says the smoke produced by a wildfire is different than cigarette smoke or smoke produced in cities known for heavy air pollution. Health officials are discouraging strenuous activity outdoors for everyone — be they athletes or not — while the air quality advisory remains in place. "Heavier breathing will allow more air pollution to enter the lungs," said Hedieh Hafizi a clinical exercise physiologist at Copeman Healthcare. "Inhaling carbon monoxide decreases the body's oxygen supply and can cause respiratory irritation such as shortness of breath, and it can also aggravate any preexisting medical conditions," Hafizi said. To Stretch or no to Stretch...? I was once told to stretch before my activity, and then i heard it is a must to stretch after. I used to think i was good for me, but now heard it might not... but really what should i do ?!? And why do i even stretch ? Because it feels good, because it’s part of our pre-workout routine, because a muscle is stiff and we think stretching will fix it. But most of what we know about stretching are based on wishful thinking and outdated science. We’re stretching for all the wrong reasons. Who never heard of the old school technique of static stretching before a soccer game? Static stretching being where you sit, lie or stand and hold stretches for 20-30 seconds each. It was always part of our phys-ed class and the teacher was telling us the importance of stretching the muscle to prevent injuries…the time has change people! There is a lot of research now to show that this type of static stretching prior to exercise does not reduce your injury risk, including several big systematic reviews (a high level of scientific evidence) that all show that static stretching as part of warm up does not reduce your risk of injury. Static Stretching has also been shown to reduce peak power and force output in the muscle stretched. What this means is that after static stretching, your muscle is not able to produce quite as much force (strength) as it could prior to stretching. Stretching robs your power !! Studies show a 2% to 7% reduced strength and short lasting after a stretching session, 15-30 min. It is important to know the fact so let’s not panic, stretching before an activity will not significantly reduce your power nor will it make a difference on your next day activity. So does it mean i should never stretch before an activity ? Well… NO! The current best practice recommendation for warm up prior to exercise is NOT to perform static stretches, but instead perform dynamic warm up designed to prepare your body for the exercise to come. This should include things like large amplitude, controlled dynamic movements (such as leg swings), activities to gradually increase blood flow to the areas needed for exercise and activation/preparatory movements relevant to the activity. Static stretching is only one type of intervention, so it doesn’t mean all stretches are bad. You can do PNF(Proprioceptive Neuromuscular Facilitation), where we use muscle contraction and relaxation to affect muscle lengthening, joint mobilization, ballistic stretches, and self myofascial release (foam roller, spiky ball etc). The nervous system controls our flexibility much more than we thought. Part of the limits of our flexibility is how much our nerves “put the brakes on” to protect our tissues from damage by excessive length or tension. Neurodynamic testing can be done to evaluate if the nerve is the structure actually blocking your flexibility. Once again, your physiotherapist is well trained to guide you through the proper warm-up/stretching/technique to use according to your own condition. As promised, please see below for different deadlift variations, if ever you get bored of the classic version. Don't forget to read the previous article on proper deadlift technique. Enjoy and train safely ! The deadlift is one of the exercises i see the most mistakes performed regarding form and technique. The deadlift, if performed correctly, will target many important and large muscle groups, not only in your lower body but also in your upper body. It will work your strength, core, balance, coordination and posture which makes it an easy exercise to incorporate many muscle groups, who doesn’t want to save some time at the gym ! But if done incorrectly even with a slight variation of the proper form you can quickly injure yourself, and often it can lead to long term, painful injuries. One interesting fact about deadlifts is that the exercise you perform in the gym is actually a real movement that we use in our daily living, like lifting objects. So while you’re doing your routine at the gym, you are actually practicing how to use a common daily movement to prevent injuries. So now that we know a bit more about deadlifts, there is a test you can self-perform before starting your program at the gym to evaluate if your form is fit for this exercise. Push your hips back, bend at your waist, and touch your toes. The catch: your back has to remain flat throughout. If you can’t touch your toes—or if you had to round your back to touch your toes—you lack the hip mobility to properly deadlift. You can either ask a friend to take a video, do the test in front of a mirror or ask your beloved physiotherapist to have a look ! If you passed you are ready to do a deadlift! But wait ! It’s always a better idea to progress your way into it to prevent any injuries and making sure you keep the right form even with heavier weights. You can start with a body weight deadlift, progress with a kettlebell and then a weight bar, from light to heavier weights. Starting to lift only a few inches from the ground and progress your way up is another trick to make the smooth transition. As you do your deadlift, just keep in mind to keep your feet flat on the floor, bend at the knees, hinge at the hip by keeping your low back straight. Grab the bar with hands shoulder-width apart, keep your shoulders retracted and your neck tucked in. And BREATHE !!!! Stay tuned for different variations of deadlift you can do at the gym. As promised, see below for exercises to help for a cuboid syndrome. Read the full article below to know more about the cuboid syndrome. Feeling pain on the outside edge of your foot (lateral foot pain) is usually the first thing people with cuboid syndrome notice. It’s a relatively common condition, but not always recognized since it can come on slowly over time. Trauma to the foot, be it a sudden injury or gradually repetitive forces may damage the supporting soft tissues causing the cuboid bone to move out of its usual position. It can then act like a block, limiting the movement of the surrounding bones in the foot. This may happen suddenly due to an injury such as an ankle sprain, or develop gradually over time from repetitive tension through the bone and surrounding structures. The 3 main causes of the cuboid syndrome is from a injury (sprain most likely inversion), repetitive strain (overuse, running, jumping) or altered foot biomechanics (foot pronation or flat feet). The symptoms related to a cuboid syndrome can be lateral foot pain, swelling around the cuboid area, decreased ankle mobility and increased pain in weight bearing. It is strongly recommended to seek help from your physiotherapist as the cuboid syndrome will not appear on a xray, unless there is an actual fracture of the cuboid bone. Your physiotherapist will assess the condition and evaluate what is causing the cuboid the shift out of alignment. The assessment will not only include the foot and lower leg but the whole lower quadrant (Low back, hip and knee) because as you know, it’s all connected !! The peroneus longus muscle runs down the outer side of the lower leg attaching on to the outer side of the foot. Tension placed through this muscle from repetitive activities usually locks the cuboid in the altered position causing sustained pain. If you remember the previous article on the glutes, you will remember that the glute muscles help to stabilize your pelvis to avoid your knees to shift medially and cause your foot to pronate. By losing your arch support, you keep the cuboid blocked in the injured position. Your therapist will be able to mobilize the cuboid in the right alignment with manual therapy techniques, release the soft tissue in the lower leg and foot (peroneus longus mostly), tape the foot to support the cuboid in the corrected position, show individualized exercises to your condition. If the exercises and other techniques are not sufficient to old your foot arch, orthotics can be needed to support the structures. Come and see Katie, physiotherapist at the clinic for custom orthotic fitting! RICE (Rest, Ice, Compression and Elevation) is always a good start at home to help the inflammation process when you notice the pain. The cuboid syndrome is fairly easy to treat if it’s recognized early! Keep your eyes open on the blog for an example of exercise program to follow if you think you are experiencing pain from a cuboid syndrome. Low back pain…make your glutes your best friend ! Low back pain is amongst the most common injuries seen in Physiotherapy. Some of the causes can be directly located in your spine (disc, vertebrae, nerve, etc) but lets not forget that the spine movements are also influenced by your pelvis/hips. When actions of the spine are not accompanied by correct movement in the rest of the body, the spine and its surrounding muscles have to take up the slack and may become overworked and injured. The glutes (maximus, medius and minimus) are the primary controller of movements in our hips and thighs and also play an important role in the stabilisation of the pelvis and support of the low back. The Glute Medius and Minimus are in charge of the stabilization while the Glute Max is our powerhouse. If you have lower back pain or your back feels tight frequently, then you are probably overusing your movers while your stabilizers are taking a break. It’s time to wake them up! But wait…am i really using my stabilizers during a squat…? Did you know your body can actually switch on the wrong muscles because the correct ones are weak or inactive? This is most common in our glutes and can be the reason for lower back pain, muscle spasms, and even nerve pain. If your glutes are weak or inactive they cannot hold your pelvis in the right position or help maintain correct alignment. The basic process requires you to re-establish and strengthen neural signalling pathways that will correctly route the signals from your brain to the target muscle, and cause it to activate or ‘fire’ as it is supposed to. This means that in the following exercises you must perform quality repetitions over quantity. This can and will take a surprising amount of concentration – but take the time to set up and focus your mind before each repetition. Who doesn’t like brain teasers ! Make sure your glutes have the optimal environment to be activated. Your hips and pelvis should be in a neutral position and the surrounding muscles should the relaxed to avoid excessive tension. Start by releasing your hamstring, hip flexors and buttock. You can use a foam roller or a trigger point ball lying on the ground or against the wall. In the first stage of reactivating your glutes, you’ll be focusing on trying to feel the glute muscles working and actually getting them to fire correctly. This is also known as your mind-muscle connection. You should be able to feel a glute contraction without tucking your pelvis or locking your quadriceps/hamstrings into a straight leg. Once you get more practiced with this exercise, try to increase your level of control to be able to activate one side of your glutes at a time. Tried to recruit your glutes in a bridge position without contracting your hamstrings. You should be able to recruit your core to stabilize the pelvis, squeeze your glutes, without any pelvic tilt, and then push through your heels to lift your buttock without gripping your legs (hamstring compensation). Now that you are able to activate, feel that your glutes are being recruited without any surrounding muscle, you are able to integrate them in your favorite glute exercises : bridge, squat, leg lift etc. This can be very challenging, so don’t hesitate to book with one of our physiotherapist to guide you through the proper process of glute activation without cheating. Stay tuned for a full glute strength program. Work on activation first then build strength in the right place. Exercises for Pre and Post Pregnancy Issues and Meet the Expert. Following our educational piece on Women's Health and Peri Natal Care we have been asked about common exercises and where to reach out to for further help. 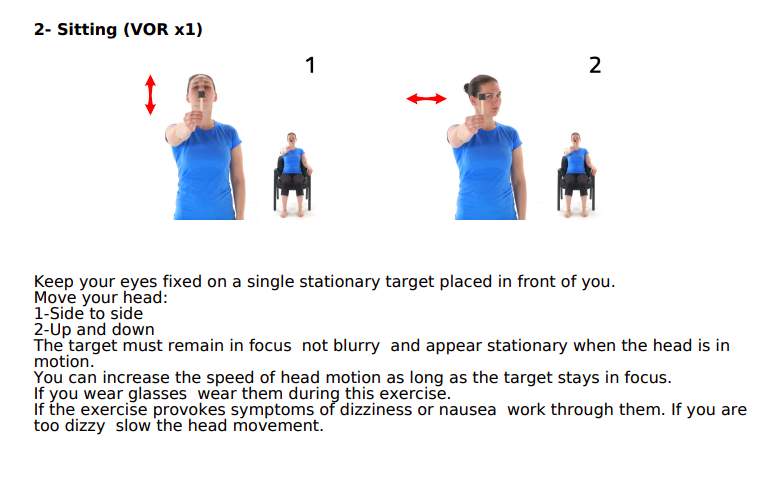 So here are some common exercises for some of the previously mentioned issues. But please, if your issues are more complex consult before trying these. Jacquie has work in private clinics throughout the Lower Mainland. She treats all orthopedic conditions with a strong focus on manual therapy techniques. Jacquie also specializes in Women’s Health Physiotherapy. This includes peri-natal care, pelvic floor dysfunction and incontinence, and pelvis organ prolapse. Jacquie is a Registered Yoga Teacher and a Level 1 Hypopressives instructor. 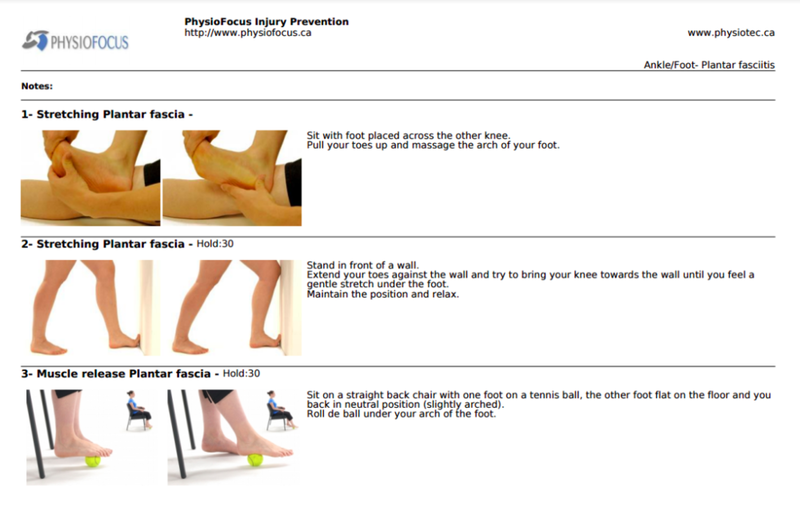 For questions or appointments with Jacquie call 604 881 2002 or go to our website at www.physiofocus.ca. We have had lots of questions following our last article on Vertigo. Mainly more ideas for exercises and asking who is the best person in our team to see for this condition. If you are having any of these issues our Walnut Grove Physiotherapist Rosanne Molnar is a specialist in this area. Meet Rosanne. leaner who is constantly updating her skills. injuries (WSBC) as well as most orthopedic conditions (strains, sprains, post-fracture). include soft tissue release, mobilizations and exercise to help you return to your optimal health. Vertigo. Why do I think I'm Spinning and How Physiotherapy Can Help. Vertigo is a a condition commonly characterized by dizziness or the sensation of objects spinning around you. By far the most common type of vertigo is Benign Paroxysmal Positional Vertigo (BPPV) which is a problem with the inner ear. In this condition intense short periods of dizziness are associated with changes to the position of the head. This is due to calcium deposits, that are dislodged from the inner ear, blocking the flow of fluid through the semicircular canals in the inner ear. The normal flow of fluid in the canals is responsible for balance, and when this flow is disrupted, dizziness and the sensation of the room spinning happens. Although movement of the head causes dizziness, physiotherapist have techniques where the fast and specific movement of the head is used to quickly move the fluid through the canals and unblock the calcium deposits. It is important to consult with a physiotherapist with advanced training on dealing with vertigo or vestibular issues. Specialized testing of balance issues is important to rule out other causes of vertigo and get a treatment that is tailored to the patient. Physiofocus Walnut Grove is fortunate to have Physiotherapist Rosanne Molnar on our team who has a specialization in this area. Check out www.physiofocus.ca or call 604 881 2002 for more information on Rosanne and how you can book to get rid of your issues with vertigo or any other aches and pain you may have. Postural pain is extremely common but most people don't know how to go about treating there pain. Postural dysfunction or “Poor” posture is defined as when our spine is positioned in unnatural positions, in which the curves, or lack of, are emphasised. Therefore the joints, muscles and vertebrae being in stressful positions. Poor posture longterm results in a build up of pressure on these tissues, causing pain and lack of function. 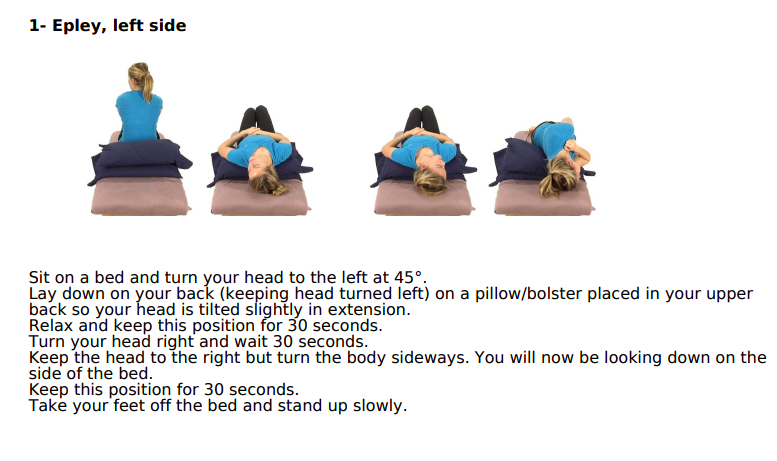 Here are some exercises for neck and thoracic spine postural pain.